The National Association of REALTORS® reported on Tuesday that January Existing Homes Sales edged up 0.4 percent from December to an annual rate of 5.47 million units, above the 5.30 million expected. This increase was the highest level since July 2015. In the past year, sales are up 11 percent, the largest year-over-year gain since the 16.3 percent annual rise in July 2013. 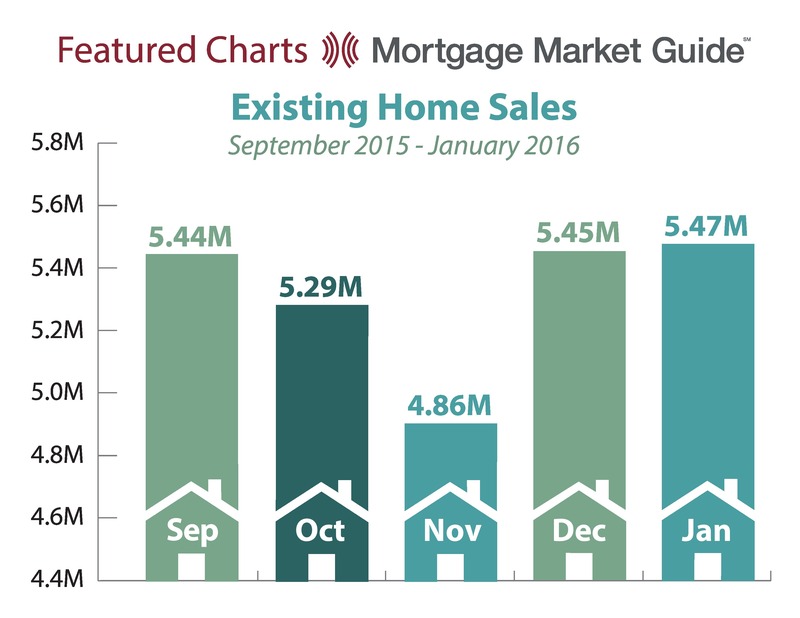 Existing Home Sales is a measure of the selling rate of pre-owned single-family homes.